Head of a pin, posted by Matt Niebuhr. 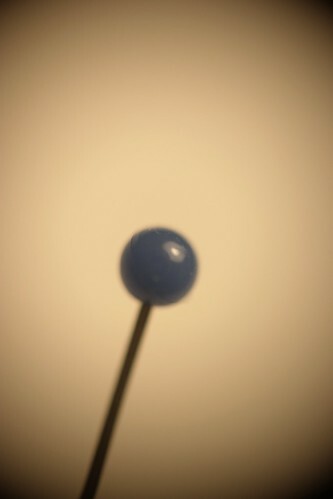 A reverse lens macro shot of the head of a push pin. I like the soft rendering and the relative size of the stickpin head. Shot with my now broken Canon EF 50 f/1.8 II (I dropped and that’s all it takes) with a hand held Rikenon P 50 f/2. I’m interested in the effect of filters on digital images… “Define filter”…. This entry was posted in Experimental, Photography and tagged head, Photography, pin by Matt Niebuhr - West Branch Studio. Bookmark the permalink.